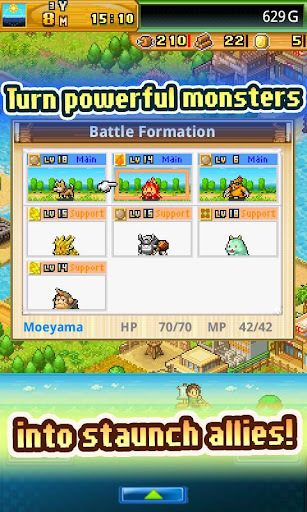 You gotta fight for your right to party in Kairosoft's latest game. 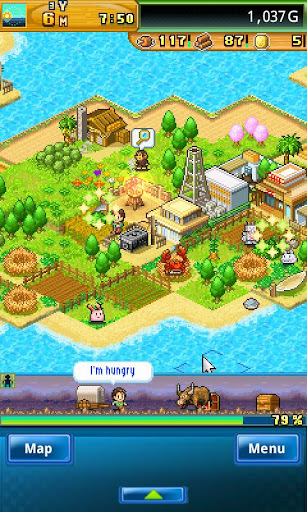 Anyone coming to yet another Kairosoft game would be forgiven for fearing that it would be just another micro-simulator with a quirky twist, offering little more than a fresh graphical re-skin to separate it from every other title released by the developer. It's certainly true that Beastie Bay packs in the usual careful balancing act of as you manage the land and resources of a desert island, building appropriate habitats, and responding to the needs of a collection of animal AI oddities. But this new game packs in an unprecedented punch, including as it does a Pokemon adventure that sees you acquiring new animals and leveling them up for battling glory. Combat encounters occur as you explore new, shrouded territories that occasionally appear around your real estate. Your exploration of this virgin ground is represented by a progress bar, and as you pass along it you'll gather treasure and encounter hostile creatures before you complete the adventure and return back home to enjoy the spoils of your success. Combat is simplistic and immediately recognizable to anyone who's ever gone near a turn-based strategy RPG in the past. 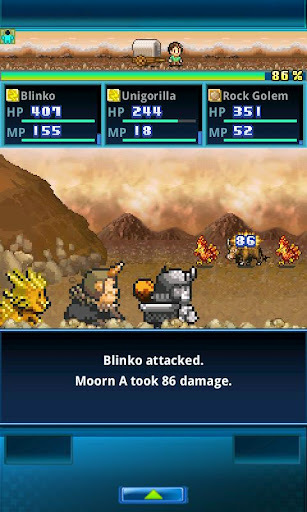 Selecting to either fight the monster head-on, utilize a skill, adopt a defensive stance, or use a healing item, the combat plays out until either you or your opponent expires. Rather than killing a monster altogether, you can also throw bait at it for a chance at capturing the creature and bringing it to your stable of animals. Over time, each critter in your collection acquires XP, leveling up to become more formidable and capable of wielding even greater skills on the battlefield. Back home on the established island, you'll need to manage creature habitats and expand your ability to harvest the resources that are so essential to your expansion. As with most Kairosoft games, the tutorial can be a fussy affair, and you'll find yourself in a mess of menus should you stray off the strict path laid down in the early days. Still, any wayward experimentation will only delay things a little, as the resources that are wasted refill pretty generously. It's fresh and very welcome new territory for Kairosoft, with an ad-supported free version that's perfectly playable without coughing up the required $3.99. There's something for even the most jaded fan of these peculiar sims in Beastie Bay, and it will certainly consume a fair chunk of this weekend's precious play-time. What's Hot: A refreshingly different management game from the studio. What's Not: The pet battling itself isn't tremendously satisfying and the tutorial is a bit messy.